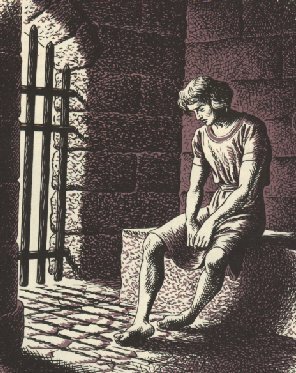 Cross and Cutlass: Are you Stuck in Prison? Are you Stuck in Prison? The story of Joseph in the Bible is one of my favorites. It's the story of a prisoner who becomes a prince, a rejected son who becomes beloved. It's a story of a struggle against all odds, of a promise made by God, a purpose that would save a people. Do you realize that before you're even born, as God formed your personality, He gave you certain gifts? Some of you may have the gift of writing, some painting, sewing, creating, some taking care of children, some teaching, some analyzing, some problem-solving (like my husband), some administration...etc... God gives you these talents because He has a specific plan for your life, something or things He needs you do to that require these gifts. Joseph had the gift of administration or management. We see that even by age 17, his father had put him in charge of his older brothers. Joseph was not out tending sheep like they were, but he was administrating their work, writing reports on their labors, and checking up on them as a manager would do. Joseph would need this gift for the important task God had for him to do in the future. But Joseph had a problem. He was arrogant, bossy, and spoiled. Plus he didn't know when to keep his mouth shut! God gave him visions and dreams of his grand future.. of his family bowing down to him, but instead of keeping them to himself and pondering their meaning, he bragged about them to his brothers. And they hated him for it. You know the story. 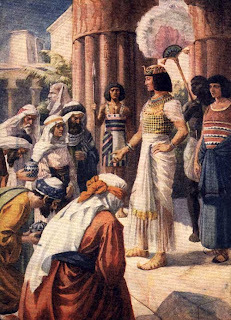 Joseph's brothers conspire to kill him, but instead sell him as a slave to Egypt. Now, this teenage boy who'd been told by God that he would someday be so powerful his entire family would bow to him, finds himself a slave. God may have given you a promise, God may have given you a vision or dream for your life, but you may not have the character to handle the fulfillment of that promise. So, God had to build that character in Joseph! The level of responsibility you will have and the importance of that responsibility will determine the intensity of the training. 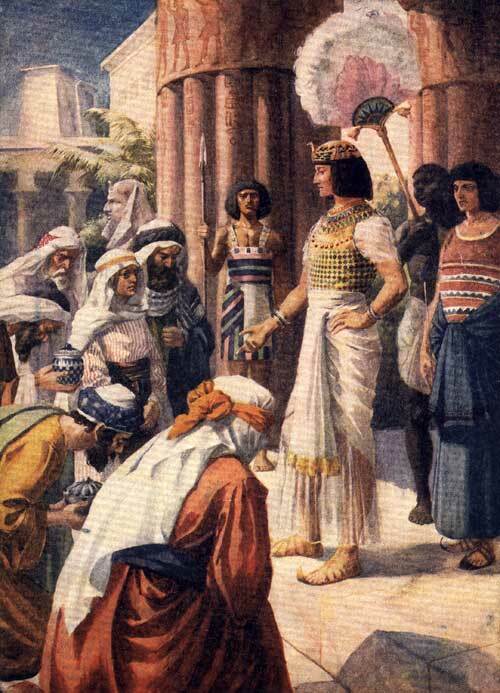 In Joseph's case, he would become Prince of Egypt, 2nd only in power to Pharaoh himself. In other words, Joseph would become one of the most important people in the world at that time. He would hold in his hands the survival of, not only the Egyptians, but his own people, and several other surrounding nations. But can you imagine if God had placed Joseph at this point on the throne? What do you think a spoiled, selfish kid would do with that kind of power?? Nothing good, I assure you! If you haven't read the story, I encourage you to do so.. It starts in Genesis 37. What happens to Joseph next? He is a slave. He is falsely accused and thrown in prison. He is betrayed and ignored by everyone whom he helps. FOR 15 LONG YEARS!! God is stripping Joseph of his pride, his spoiledness, his bossiness. 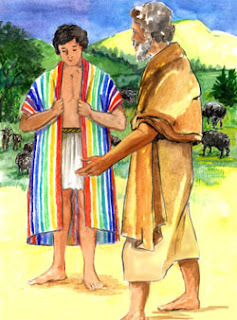 God is forming within Joseph a good, moral, humble, thankful, forgiving, kind character. God is forming a prince! God is growing Joseph in his giftings! He is building on his gift of administration and teaching Joseph how to use it properly because everywhere Joseph goes, whether slave or prisoner, he is put in charge of others. 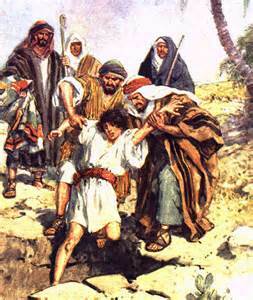 Now, Joseph could have decided to mope around and feel sorry for himself. He could have gotten mad at God, decided he hadn't heard from Him after all, complained and wallowed in self pity. But, then God would have never promoted him to Prince and Joseph would have missed his calling, his purpose. 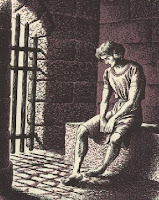 I meet so many Christians who are still in prison when they could be princes. They sit around complaining and whining and wondering if God has forgotten them. But they never submit to the hard lessons. They try and take the easy way out. They don't obey in the small things. God has not forgotten them. He's just waiting for them to get with the program!! Sadly some of these people will die never having been promoted, having missed their calling. 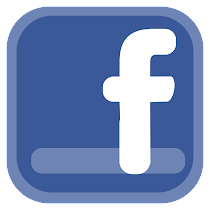 So, my question to you is: Has God given you a vision? Has He given you a promise for your future? Do you sense Him calling you to do great things?? Then do NOT resist, nor despise the years of your training. It could take 1 year. It could take 20. But you must be obedient, humble, and grateful. Who knows, you could be the next prince (or princess) who saves his people from starvation! Excellent message, and "another timely word in due season". The questions you asked in your final paragraph -- I didn't like 'my answers'. The visions, dreams, and rising to the greater challenges -- seem distant now. Guess I am "still" learning -- obedience, humility, and gratefulness. I so appreciated what you shared today, MaryLu. Much food for thought. 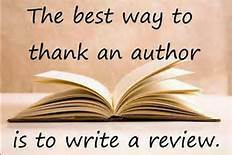 Thank-you ! Wishing you, and, all of my American friends ... a most "Happy Memorial Day" today !! !